The dawning of a new century shines bright, but the glorious sunshine of a September day in New York is shattered by a fiery blast. 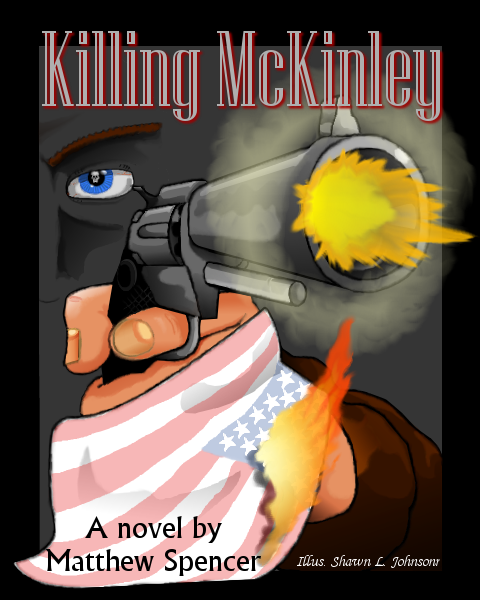 The shock thundered across America and changed the world forever with the… KILLING OF McKINLEY Matthew Spencer's first e-book is available for purchase at Amazon Books! Submerge yourself in a fascinating time in American and World History with enchanting characters. Can you imagine what actors would play the part of William McKinley? What about the klutzy but brilliant Matt Quest? Step One is to help the book gain popularity, of course, but we are already hard at work on the screenplay. Did somebody say Broadway Musical? Everyone has dreams. Most of us wonder what it would be like to accomplish our dreams. At Awake In The Darkness we believe that helping others accomplish their dreams is almost as good and a hundred times easier! All you have to do is donate and watch as your hard earned coin grows into something great!